If you own a business, it is inevitable that you’ll have a negative interaction with a customer. No matter how hard you try, someone won’t be satisfied with your service, products or performance. Even though a negative review can hit you like a punch to the gut (especially considering that 91% of people trust online reviews as much as personal recommendations), it’s important to slow down, take a breath, and look at this as an opportunity to put your customer service on display in a public forum. Look at a negative review as an opportunity to show potential customers how amazing your customer service is. Responding to a negative review while angry can make you look foolish, and can scare away potential customers. No one wants to business with crazy. Amy’s Baking Company’s owners made this mistake by replying to negative reviews with insults, obscenities and threats. Thousands of people left fake reviews of the business in hopes they would be insulted by the owners too. As much as you might want to respond negatively, don’t. It will hurt you and your business much more than it will hurt an anonymous person on the internet. Once you’ve calmed down, proceed to step 2. As diplomatically as possible acknowledge the complaint the customer has. Take ownership of the mistake, and explain why it happened and how you’ll avoid it in the future. No one gets it right every time, and most customers are actually pretty understanding of unique circumstances that might have caused their problem. Definitely don’t be like Comcast. In the clip below one of their customer service representatives refused to cancel someone’s service and argued with the customer! A simple way to start a reply to a negative review is with this statement: Thank you for the feedback. We always aim for 100% satisfaction, and we are sorry if we fell short. That statement takes ownership of the problem, acknowledges it, and immediately builds rapport. It isn’t angry or argumentative. It’s supportive, and understanding. It opens up dialogue. 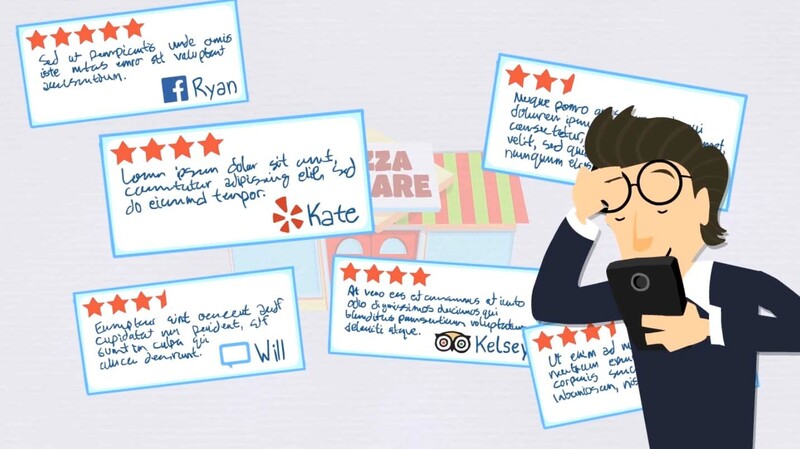 Respond to online reviews the same way you would with an in-person complaint. If someone is unhappy with something they ordered from your restaurant, at the least you’d remove it from their bill. You can use this same approach with online reviews. If someone leaves a 1 star review, complaining about their dinner – offer them a free meal or gift certificate. Ask them to give you a second chance, and then don’t disappoint. If a product is broken during shipping, send out a replacement. After you’ve publicly addressed the complaint reach out to the person directly. Be sympathetic towards their situation, but be earnest in your desire to make the situation right. Your business’ service shines when dealing with an unhappy customer.